Recommended credits are shown in parentheses. Courses are subject to change at the discretion of Charles University. The Czech Language and Culture course is taught during orientation. 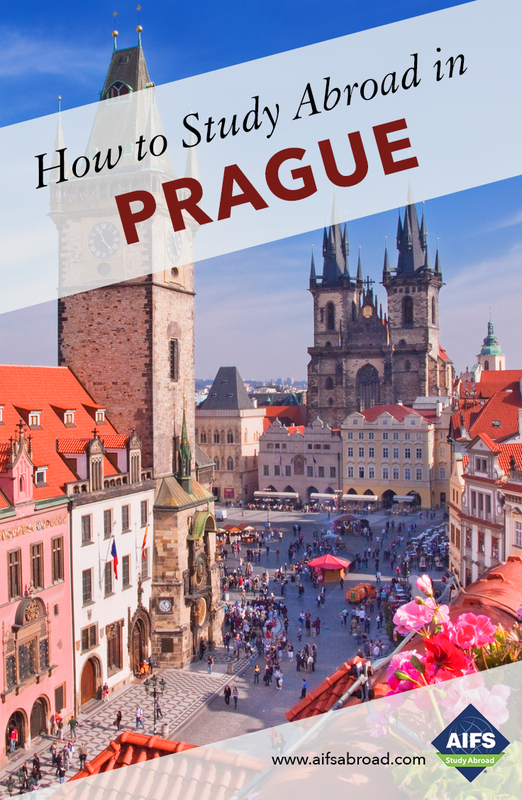 It is a combination of Czech language instruction, cultural activities, and excursions throughout Prague. Classes are held for 4.5 hours per day, 5 days a week during the first 2 weeks of the program. Two all-day field trips are also included in the orientation. All students must take the following course but have a choice whether to receive a grade or take it Pass/Fail. Students select their preferred option within the first days of the class taking place. The mandatory two-week Intensive Czech course is designed to teach students the basics of the Czech language and, at the same time, to extend their knowledge of Czech culture and everyday life. The communicative approach and everyday vocabulary are emphasized, students communicate in various situations of everyday life: introducing oneself, asking for directions, shopping, at a restaurant, one’s daily routine, likes and dislikes. Various linguistic skills should be developed in balance: knowledge of grammar, comprehension, speaking, and writing. Choose up to 5 courses in addition to Czech 101. Where “Department” is listed after a course title, this indicates that the class is also offered to Czech students. A general overview of the Fine Arts development in Europe with a special focus on Central Europe and the monuments of Prague. Particular pieces of art that represent an époque or style are presented and students analyze the details, historical context, iconography and formal qualities that represent the individual style. The course will include field trips to museums. The course will explore key topics in the philosophy of music, popular music studies and culture studies and thus serve as a general introduction to the field. The classes will consist of interpreting short excerpts from various texts on music, discussion, listening to musical samples from classical as well as popular music, and field trips. No prior knowledge of philosophy or musical education is required. Describes basic characteristics of Czech culture (values, style of communication, customary behaviors, etc.) and shows how they are reflected in many aspects of Czech life which the foreigner encounters as well as presenting general ideas on their historical and social context. This course offers students an insight into the post-World War II history of Central and Eastern Europe through the medium of film. Major historical stages and turning points such as the aftermath of World War II, the political purges of the 1950s, Soviet and Polish Thaws, the 1968 invasion, the Czechoslovak “normalization,” perestroika and the fall of the Iron Curtain will be discussed. We will treat film as an aesthetic object and as a historical document reflecting the tumultuous social and political developments. Provides an overview of cinematic traditions, with specific focus on the themes of eroticism, power, and fate. The course examines a series of films from Central Europe from the silent era until the present day. In this analysis, consideration is given to the broader social, political, economic, and cultural contexts (both nationally and between nations) in which the films were made as well as the impact of these films within “Central Europe.” The first few sessions will also function as an introduction to reading and interpreting films. This course will explore the incredibly rich cinematic tradition of thought provoking and entertaining films produced in the areas of the Czech Republic (the primary area of focus), and Slovakia from the years following World War II up until the beginning of the 21st century. Students will also discuss cinematic theory and approaches to “reading” films, not only as movies, but also as multi-faceted cultural artefacts. Readings will include primary source materials on cinema history, historical research, film theory, and literature intended to broaden the understanding of Czech and Slovak culture, cinematic and otherwise. For higher levels of Czech, individual courses will be arranged. In this course students will learn basic Czech which will help them to communicate in everyday situations in the Czech Republic. Students will be able to talk with Czech speakers in shops and restaurants, in theaters and on the street, and the knowledge of the language will help them to come to know the Czech mentality and culture. Recent economic development in Europe has been markedly influenced by two major factors: by the process of European Integration and by the Transition Process in the Central and Eastern Europe. European Union tries to integrate European economies into a single market, while economic systems of European countries markedly differ. Economic systems comparison is thus the main aim of the course. The main part of the course is dedicated to introduction of European economic systems and discussion about current problems of related economies. This course combines application of International Economics and International Political Economy to the processes of globalization and current economic downturn. The course focuses on historical and contemporary issues in the Global Economic Order both in theoretical and applied perspective. This course reacts to the last developments in the Central European space in the dynamic process of the European integration. The migration situation since 2015, the threats of terrorism, the decision of the Great Britain to leave the European Union within two years are largely influencing also the political atmosphere in Central European countries. Although they shared the same geopolitical position within the Eastern Bloc Czechoslovakia, Poland, Hungary and others differed significantly in their respective points of departure, as well as in political institutional solutions chosen in the course of their transitions. Students will be encouraged to challenge the mainstream understanding of “transition” as a predictable, gradual and irreversible progress towards the standard “Western” model. The aim of this course is to give an overview about relevant figures, events and texts in communist Czechoslovakia. This will include political debates during the Prague Spring, the dissident movement and its political thinking in the 70s and 80s, as well as a few representative articles from the early 90s. Study the political, cultural and economic situation of the Jews in the 19th and 20th centuries and analyze the different forms of Jewish cultural and political identity. Students will have a better understanding of the context that led to the Holocaust and of its dramatic consequences and will have familiarized themselves with the most important Jewish political writers. This interdisciplinary course is designed as a unique insight into Czech/Slovak history, politics and arts and should provide students with serious data and information as well as with “lighter” reflection on certain specifics of the development of the country in the heart of Europe. Learning is through interactive seminars, visual arts, documentaries and by visiting various artist’s studios in and around Prague. Focuses on the processes and events that have been making the ethnic and political borders of Europe since the arrival of Indo-Europeans until present times. It follows the formations, expansions and differentiations of the Celtic, Germanic, Romance, Slavic and other peoples. It also explains how and when peoples like Basques, Albanians, Hungarians and Turks appeared in Europe. Due to its comprehensive character, the course is suitable for students interested in history, politics, geography, ethnology or linguistics. The course focuses on the history of Central Europe through the perspective of German influence. It will shed light on complicated and controversial notions such as “Central Europe”, “Germany”, and “Mitteleuropa” as well as “nationalism”, the “nation state”, and “multinational states”. Covers selected chapters of 20th-century Czech literature as part of the Central- and Eastern-European and Anglo-American contexts. Students study the works of highly influential authors including Karel Capek and Franz Kafka. The course will conclude with an overview of the post-1989 situation, where Prague literature has once again become the locus of lively international exchange and prominent Czech or Praguebased writers have re-entered into dialogue with other traditions and languages. Provides an understanding of the political, social and cultural situation of German- Jewish authors during the interwar period. We will consider the precarious position of the German-Jewish community, which lived in a metaphoric “double ghetto” (as both “German” and Jewish) in Prague, and the various ways that their literary texts navigate issues related to national identity, language, religion and social integration. Examines the way in which identity is construed in the 20th and 21st centuries through the works of American and Czech authors from Melville to Kundera. Specific topics include formations of identity, power, confidence, racial and gender stereotypes, “minority” vs. “mainstream” literature in Czech and American societies. Major literary works are able to shed an often unexpected and always fascinating light on the “reality” they are dealing with. Thus, the chosen works are not only canonical, but also thematize either Europe, or America (and once they thematize America, certain theoretical concepts that are considered European will be tested on them in a meaningful, relevant fashion). What will hopefully emerge is a deeper understanding of a constructed nature of fiction and possibly also both America and Europe. Being in Prague, roughly one third of the course focuses on Czech literature, further ten weeks on Polish, Austrian, Hungarian and Serbo-Croatian literary texts, respectively. Following authors shall be read and discussed in the course: Franz Kafka, Jaroslav Hašek, Bohumil Hrabal, Milan Kundera (for Czech – or “Czech” authors), Witold Gombrowicz, Bruno Schulz (“Polish” authors), Joseph Roth, Ingeborg Bachmann, Thomas Bernhard, Italo Svevo (“Austrian” authors / Italian author), Sandor Márai, Imre Kertész (Hungary), Ivo Andric and Danilo Kiš (Serbia / Bosnia and Hercegovina) (while others, such as Robert Musil or Herrmann Broch for instance, are for the length of their major works relegated to optional literature only). Although there will be a certain intro on the CE, topics and questions concerning the CE shall be spread and explored throughout the entire course in its further parts. Students on this course will study the dramatic writing of one of Central and Eastern Europe’s most important cultural figures in the context of modern European and American drama. Working from an understanding of the political situation in which Havel wrote, we will read his plays alongside those by playwrights who inspired Havel to start his own theater career (Ionesco; Beckett), compare his work to that of writers with whom he had important working relationships (Beckett; Stoppard) and analyse his dramatic writing alongside that of his Central and Eastern European antecedents and contemporaries (Brecht, Capek, Mrozek). The U.S. National Institute of Mental Health estimates that 1 in 4 Americans over the age of 18 suffer mental health problems in any given year. Our course introduces the major questions, controversies, and debates in the Philosophy of Psychiatry. There may be some challenging readings and it is expected that the student will bring an open mind and a willingness to ask questions. Possible course topics include effective communication principles, coaching, self-management, presentation skills, assertiveness and manipulation recognition, resolving conflicts, teamwork, group problem solving, stress management, and creativity. Food can become a political tool, a marker of social class and gender, a mirror of significant cultural differences. We shall trace the histories of some of the most significant meals of the Czech Republic (and former Austro-Hungarian Empire). Their transformations will help us to understand the social changes that took place in Central Europe from a different perspective. Questions such as gender relations, families, political economy, health (obesity, anorexia, bio food), ecology and the nation-state will be discussed. The course will elucidate the transitions in the Czech art scene after 1989, together with their socio-historical context. It will explore different understandings of postcommunist movements as represented in the performances by Czech artists. Czech art perspectives will be confronted with Western literary and cultural criticism. Holistically, landscape sociology incorporates philosophical, cultural, anthropological and ecological interactions between man and nature, and between social and ecological systems. Human experiences with landscapes, social and cultural constructions and transformations of landscapes, and the ways in which we bring meaning to landscapes are the main topics of this course. An overview of the last two decades of social change in the Czech Republic. Focuses on basic perspectives on social change (“shock therapy vs. gradualism”) and then deals with the changes in economic and social structure and political attitudes in general. To provide a deeper insight into the development, the transformation of the housing and higher education system is presented in detail. The aim of the course is to combine knowledge from the fields of urban sociology, general sociology and urbanism in order to give students detailed insight into Czech urban situation. Students will have a basic introduction to the field of urban sociology; will have information and knowledge about Czech cities that will help them to benefit from their time here in CR. A short commented film trip to a smaller town near Prague is planned. The main output is a paper. The paper will be discussed during the semester and gradually presented by the students in a short form of reports on their projects. In a competitive world, practical experience is an invaluable addition to classroom learning. Students in Prague may take a 3-credit International Internship, offered and accredited by Richmond, the American International University in London. Richmond is an independent, non-profit international university of liberal arts and professional studies with a student population of approximately 1,500. It is accredited by the Commission on Higher Education of the Middle States Association of Colleges and Schools. Students will receive credit from Richmond for the internship course. In addition to the internship, students select up to 4 courses from the East and Central European Studies Program (ECES) at Charles University. The International Internship provides vital insights into a career field, experience in the global workplace, practical exposure to the demands of specific jobs and development of professional and personal skills. It also provides a valuable perspective on Czech culture and the opportunity to interact with local people and experience other approaches and viewpoints in the workplace.